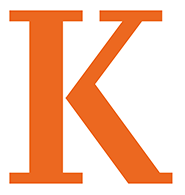 The Kalamazoo College Archives contains a broad range of materials on the more than 175-year history of Kalamazoo College, and is anything but the stereotypical dusty, inaccessible storage facility. Located on the third floor of the recently renovated Upjohn Library Commons, we have a pleasant and comfortable research room, modern storage, and ever-advancing means of access to our materials. We welcome your visits, phone calls, emails and letters. Browse our Record Group List. Visit our digital repository, CACHE (College ACademic and Historical Experience). Learn more about the Archives mission, services, collection policy and staff. Read about our Baptist Collection. Explore some of our favorite links. The College Archives are open Monday through Thursday, 9am-Noon and 1-5pm. To make an appointment please contact Lisa Murphy at archives@kzoo.edu or call 269-337-7151.